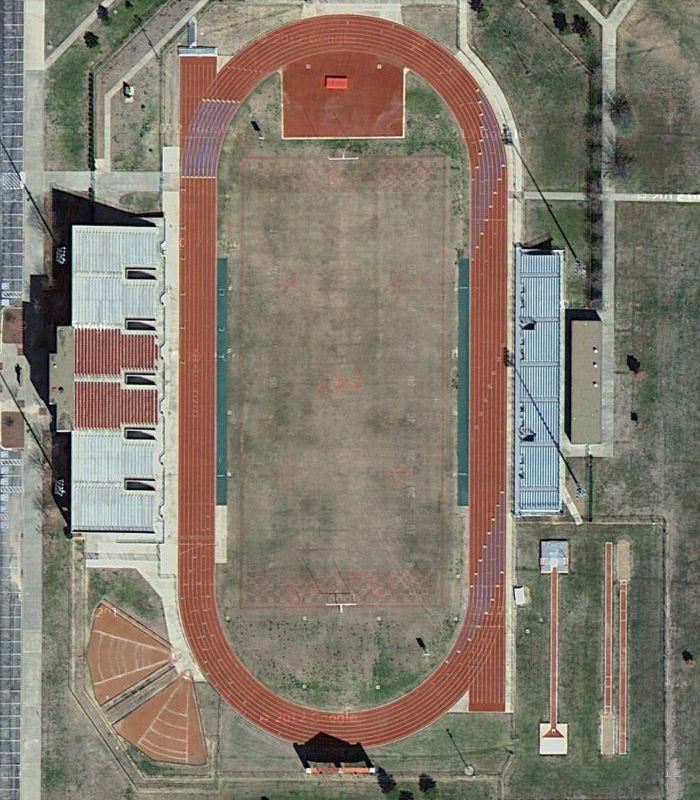 The track at Noble Stadium is the home of the Tigers of Ardmore High School, and was the host site of the state meet for classes 3A and 4A in Oklahoma. This meet was held on May 4th and 5th, and you can view the results here. This is another nice looking facility for Oklahoma track athletes.